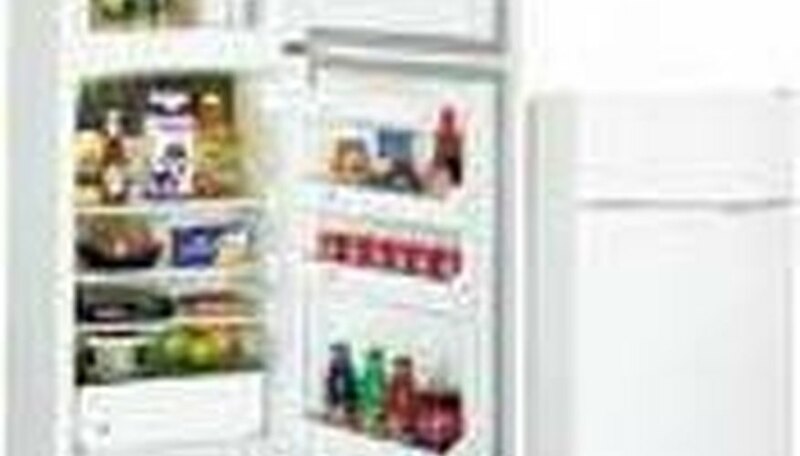 When it is time to purchase a new refrigerator, there is one key feature that overrides all other refrigerator features. This key feature is size, which is based on the location within the kitchen where the refrigerator will be placed. Size considerations other than dimensions include number of household members and size of the freezer compartment. Prior to shopping for a new or used refrigerator, these considerations must be identified and accounted for before making the final selection. Measure the opening in which the refrigerator will be located with the measuring tape. 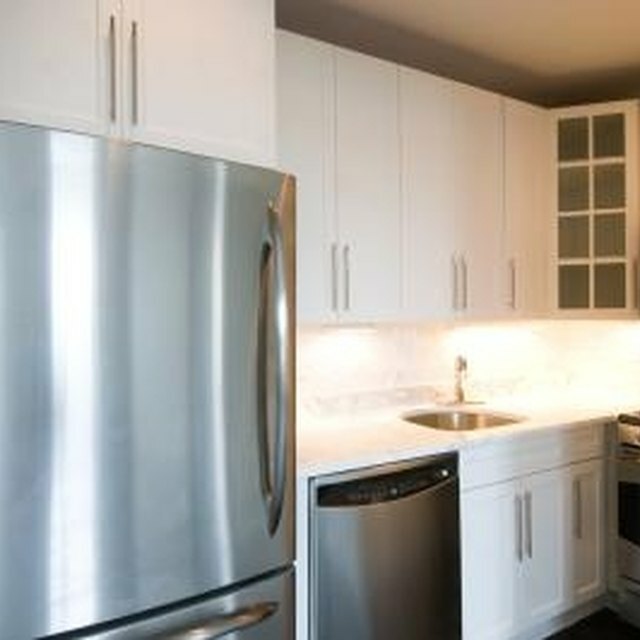 Measurements include width of opening, depth of opening, and height if there are cabinets above the refrigerator. Record these measurements on a piece of paper to take along when shopping. Do not trust your memory for dimensions of opening. Take into consideration any obstructions as well as all clearance restrictions. Measure the clearance behind the refrigerator to ensure space for connecting a water line and filter if you desire a built-in ice maker. Clearance for the ice maker water lines and filter typically require an additional 1 to 2 inches behind the refrigerator. Purchase a refrigerator with a capacity designed for the appropriate number of people in the home, which fits within overall dimension limitations. For example, a home with two occupants typically only needs a 10 to 12 cubic foot refrigerator and 4 cubic foot freezer. The only exception is if the two people in the home host a lot of parties, in which case a larger refrigerator would be recommended. Buy the appropriate capacity refrigerator for now and any expected family growth. If there are two people in the home and there is no expectation of family growth, purchasing a 26 cubic foot refrigerator is a waste of money over the long run. This is due to unnecessarily high utility bills for a refrigerator that is too large for two people. 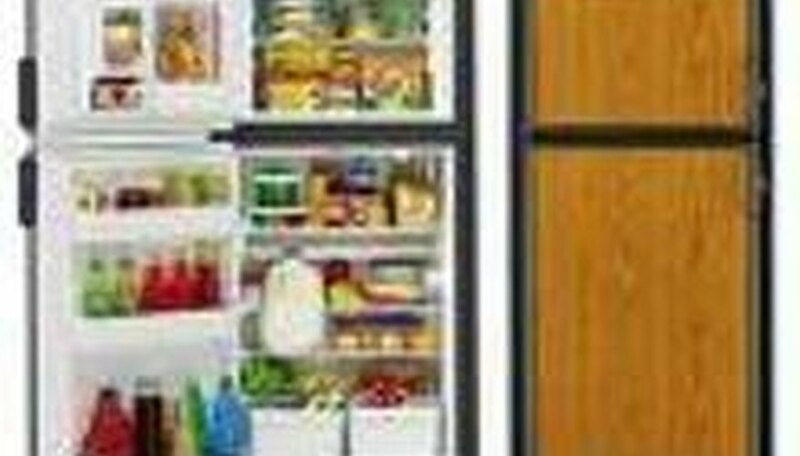 Check for ability to move shelves and bins easily within the refrigerator and freezer compartments. Multiple options for storage sizes make it easier to place large items such as gallons of milk, two liter drinks, and wine bottles in the refrigerator compartment. 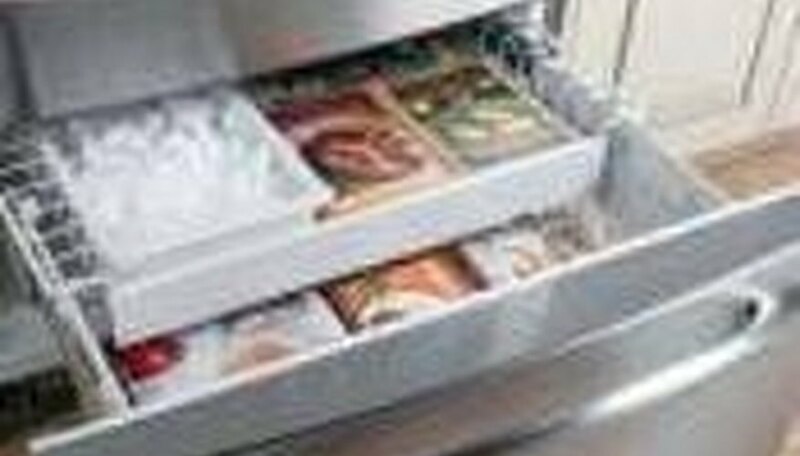 Also many frozen items come in large packages and the freezer compartment must be able to hold these packages. Select a refrigerator that has the capability to store gallon containers of milk and 2 liter bottles in the refrigerator doors while still standing upright. 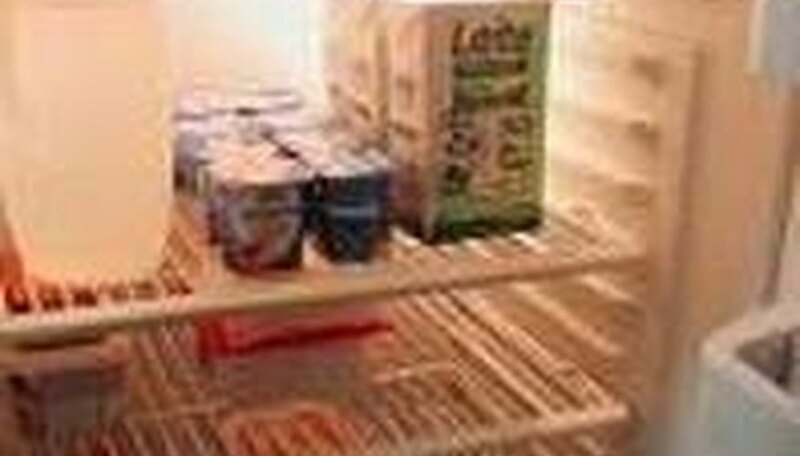 Their size requires the refrigerator to have appropriately designed shelves in the door. Doors often have split storage racks to accommodate these large items. When measuring the opening for a refrigerator in cabinets, make each measurement twice. Measure the front and back of an opening and use the smaller measurement. A large family typically requires a 26 to 30 cubic foot refrigerator and 12 to 14 cubic foot freezer. A family of four typically requires an 18 to 22 cubic foot refrigerator and 8 to 10 cubic foot freezer. 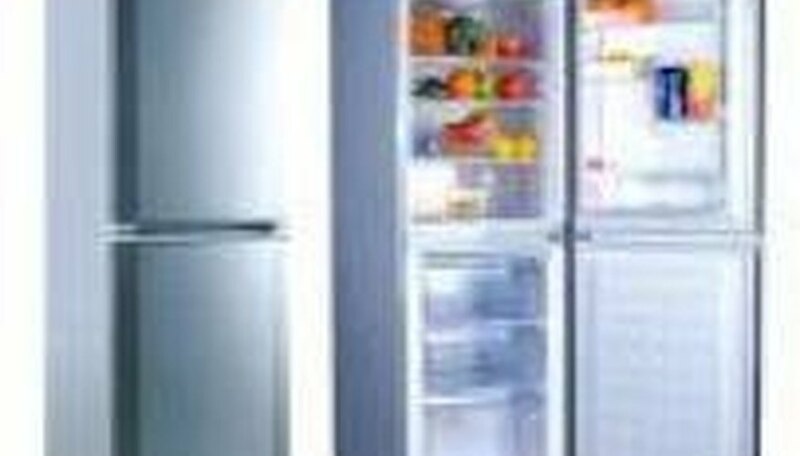 Purchase energy efficient refrigerators, because they use 20 to 40 percent less energy than models built before 2001. Measure everything multiple times, this ensures that the refrigerator will not be too big when delivered. 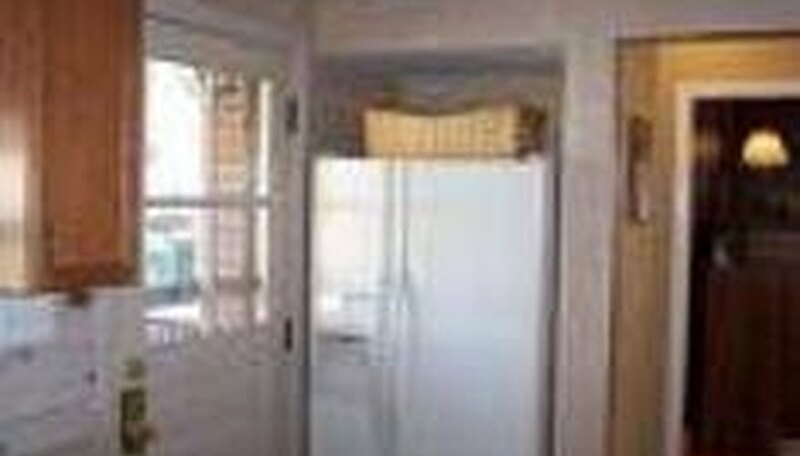 Ensure the refrigerator does not tilt easily to the front, because the refrigerator may fall forward.